American defender who was named MLS Cup MVP for the Los Angeles Galaxy in 2012. 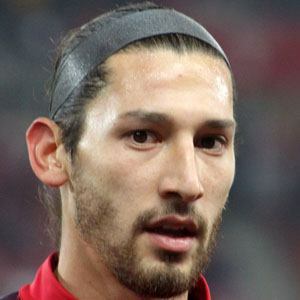 He joined the United States national team in 2010 and helped lead the team to victory at the CONCACAF Gold Cup in 2013. He played college soccer at the University of Maryland from 2006 to 2008. He was named MLS Rookie of the Year in 2009 and MLS Defender of the Year in 2011. He was born to Maria and Adrian Gonzalez. He played with British star David Beckham on the Los Angeles Galaxy.